The Dangers of Smoke and Soot - Article by LM Companies LLC. Smoke and soot result from the incomplete combustion of various materials, including cigarettes, wood, plastics, and foam. Smoke, whether from cigarettes or a major house fire, contains a shocking variety of carcinogens. Cleaning up the mess left behind after a major fire or a lifetime of smoking indoors can be deadly if not handled properly. What are Smoke and Soot? Smoke residue, or third-hand smoke, is the residual exposure via surfaces that have encountered cigarette smoke. The American Heart Association warns us that cigarettes contain more than 5,000 chemicals, many of which are toxic and include arsenic, formaldehyde and tar. Soot, on the other hand, is composed of extremely tiny particles of partially burned materials, including coal, oil, wood, plastic, or other fuels. It can be made up of different chemicals, acids, and dust. The particles of soot measure 2.5 micrometers in diameter, making them smaller than dust and mold. This combined with its toxic composition – especially when it is the result of burning plastics and foams – is what makes soot so incredibly dangerous. 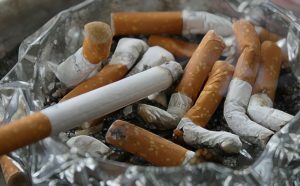 Because it is so small, it can travel deep into the lungs, carrying at least 11 different carcinogens with it. Typically, smoke residue is transferred to our hands and clothes when we come into contact with a surface that has been exposed to cigarette smoke. The chemicals and toxins in the residue are then ingested or absorbed through our skin. Small children, who are prone to putting their hands in their mouth, are one of the populations most affected by third-hand smoke. But third-hand smoke affects the air quality of an environment and can have similarly negative effects on other vulnerable populations, including the elderly and those with an already compromised immune system. Exposure to third-hand smoke can result in developing asthma is otherwise healthy individuals, ear infections, compromised immune systems, pneumonia, and the increased likelihood of SIDS. Like smoke residue, soot negatively impacts overall indoor air quality. Because the particles are so small, soot is likely to become a volatile compound, which means it becomes airborne. Breathing in the particles of soot — often containing sulfur dioxides and nitrogen oxides, which are key components of acid rain – can cause a wide spectrum of serious, life-threatening health issues, including respiratory distress, shortness of breath, bronchitis, asthma, stroke, major heart coronary, cancer, and premature death. For infants, even short-term exposure to soot has had lifelong heath repercussions resulting from interfering with their developing respiratory systems. 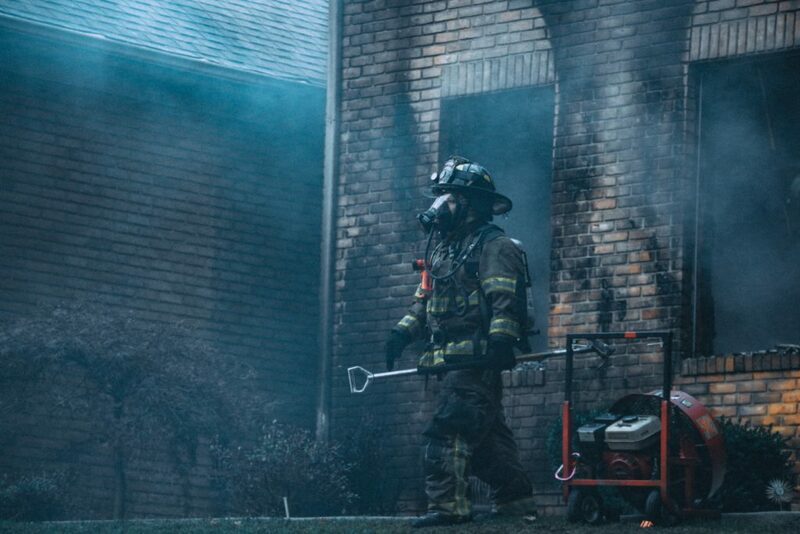 When it comes to reversing the effects of smoke and soot in your home, rely on the comprehensive fire restoration services provided by LM Companies, LLC. We are available 24/7 to meet your immediate fire restoration needs and will keep you and your loved ones protected from the lingering dangers of smoke and soot. 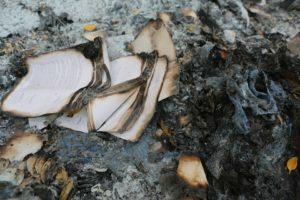 This entry was posted in BLOG and tagged Smoke, Smoke and Soot, Smoke Damage, Smoke Dangers, Soot Damage, Soot Dangers.